Some days happy hour can’t come soon enough. But for those times when you’ve still got the better half of a workday ahead of you and your boss (unfairly) looks down at day-drinking in the office, Starbucks has you covered. The latest addition to the shaken iced tea menu is an alcohol-free take on Sangria, the fruit and wine concoction that’s pretty much responsible for making the heat of summer bearable. 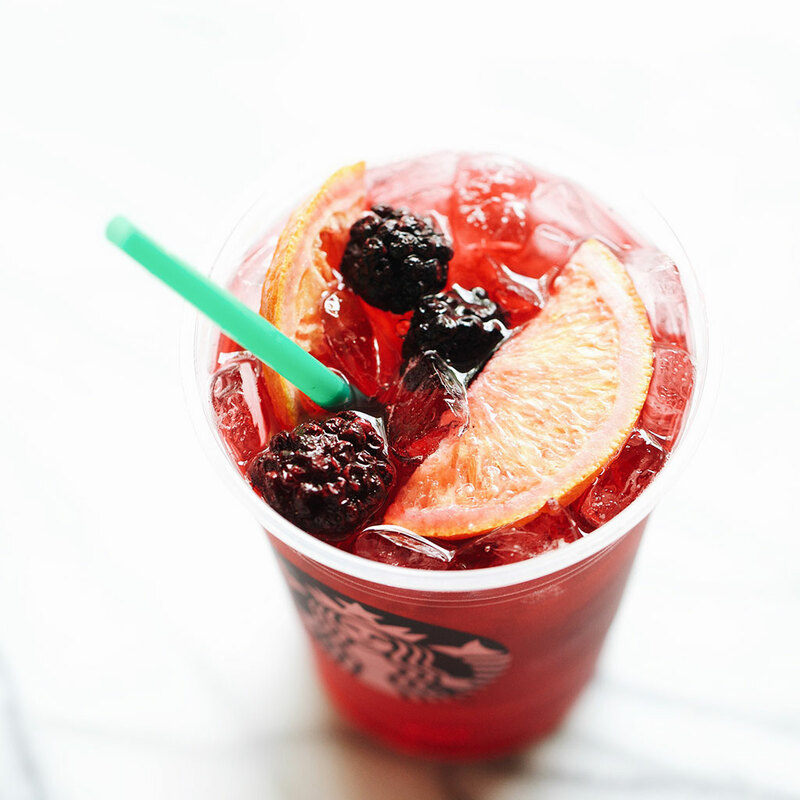 Starbucks’ Teavana Shaken Berry Sangria Herbal Tea is yet another Mediterranean-inspired item taking a cue from their post-3 p.m. Sunset Menu which also features a tea granita. The base is their Iced Passion Tango tea and sangria syrup served with blackberries, orange slices and dash of apple juice, so it certainly sounds like it might just hit the spot for folks having mid-afternoon sangria pangs. Then again, the booze is the whole point of sangria is the first place. But I guess “no fun fruit punch” doesn’t have as an appealing ring to it.